The Triple Feed Patch Array antenna is a directional circularly polarized antenna based on the original Triple Feed Patch antenna. It uses an array of seven coupled patches, resulting in significantly higher gain. This antenna is not recommended for general FPV use since the beam width is rather narrow, but it should perform very well for long-range flying. Exceptionally good axial ratio, not just directly perpendicular to the patch but also off-center. Photo of a Triple Feed Patch Array 1 prototype. Photo of the back side. This is the 'hybrid' variant, which is simultaneously LHCP and RHCP, with a different connector for each polarization. There is a regular single-connector LHCP/RHCP variant as well. The photos above show a prototype, the latest design files have an additional copper plane on the back. This copper plane doesn't have any function, but it helps to balance the amount of copper on the top and bottom side of the PCB, which should reduce warping. Special thanks to Antenna Test Lab who were kind enough to provide complete spherical anechoic chamber measurements (i.e. 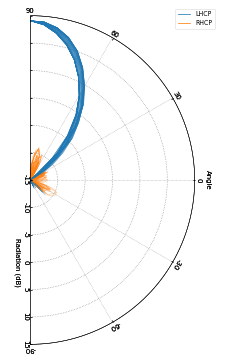 3D radiation patterns) for the Triple Feed Patch Array antenna. 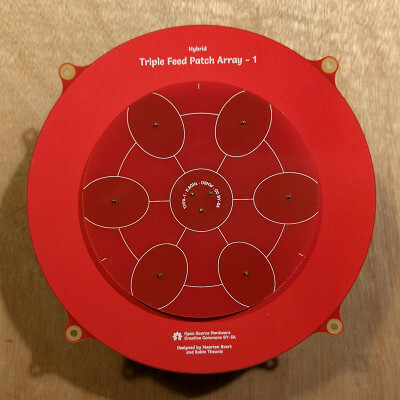 You can find a detailed test report of the Triple Feed Patch Array antenna on their website. The center frequency may shift a bit between batches as a result of variations in the dielectric constant of FR4. Also, not all brands of FR4 have the same dielectric constant. Frequency shifts up to 100 MHz are normal. Measured 3D radiation pattern, by Antenna Test Lab. Measured vertical cross-sections, by Antenna Test Lab. Note: You are free to use these images for marketing purposes if you are selling Triple Feed Patch antennas as long as you link back to this page. 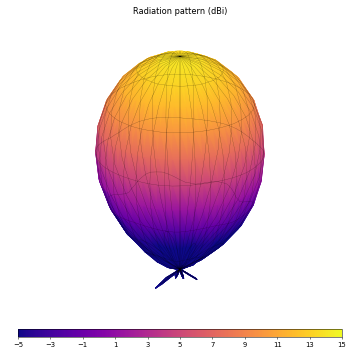 Additionally, if you use the images based on the anechoic chamber measurements from Antenna Test Lab, please link back to antennatestlab.com as well. Animated 3D radiation pattern, by Antenna Test Lab. VNA measurements (S-parameters). S11 and S22 indicate the reflected power at port 1 and 2 respectively. S12 and S21 indicate how much power is leaking from one port to the other. 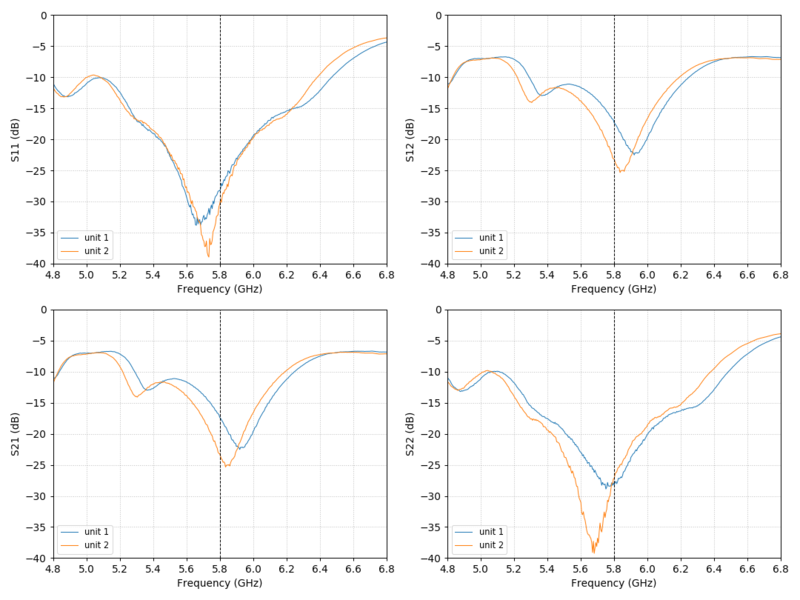 This gives you an idea of the kind of variations you can expect for hand-assembled antennas. Some of the variation is probably caused by the surface-mount SMA connectors since those were soldered by hand, and it's difficult to accurately control the amount of solder when you can't even see the center pin. This affects mostly S11 and S22. The rest is probably the result of inconsistent spacing between the two PCBs, which creates a shift in center frequency. This is clearly visible in S12 and S21. The prototype PCBs were a bit warped which made it difficult to get the correct spacing. I have no plans to manufacture these antennas myself, I'm hoping that other antenna builders will pick up this design and start selling it. * Based on listed price and exchange rate at time of writing. May be outdated. Shipping not included. If you are a manufacturer who is selling this design, feel free to email me or leave a comment below. You can also just build them yourself, it's really not that hard. Just download the design files and follow the instructions below. This means you are free to use this design in any way you like (this includes commercial use) as long as you credit us (Maarten Baert and Robin Theunis). If you choose to modify the design files, you should share the modified design files under the same license. Important: This antenna will only work properly when manufactured and assembled correctly. This is not just a regular circuit board, read the instructions below! The second PCB (pcb_tfpa_1_part2_*.zip) has a separate file for non-plated-through holes (pcb_tfpa_1_part2_*-npth.txt). PCBs: Manufacturers will make these for you if you send them the Gerber files which are included in the design files above. I used Elecrow for my prototypes. Due to the larger size, these PCBs are quite a bit more expensive: the small one costs only $5 for 10 pieces, the large one costs $40 for 10 pieces. That means you end up paying $4.5 per antenna (it gets much cheaper if you make them in larger quantities). The PCBs must use 1.0 mm thickness FR4 material, not the regular 1.6 mm thickness. The correct thickness is critical, if you get this wrong the design won't work properly at all! Regarding copper thickness, 35 µm (1 oz) is fine. 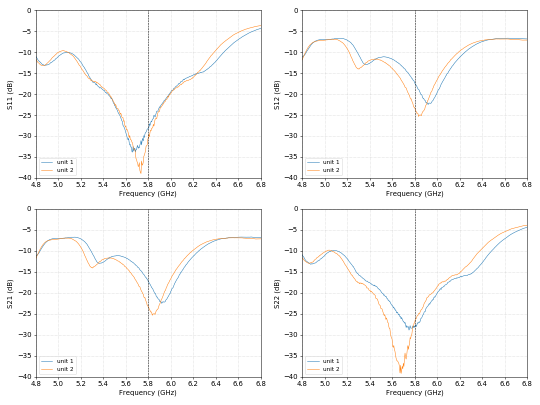 Thicker copper tracks won't improve the efficiency at RF frequencies due to the skin effect. 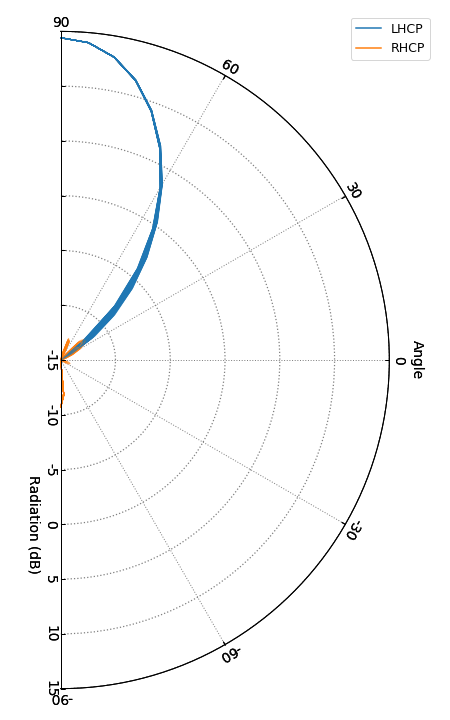 The design is tuned for standard FR4, but there may be small variations between different FR4 manufacturers which can result in a shift in the center frequency of the antenna. I specifically made sure that the design isn't too sensitive to material variations, so this shouldn't be a huge problem, but you should still avoid manufacturers that use special materials with different dielectric constants than regular FR4. Copper wire: Regular copper wire with a 1.0 mm diameter is used to create the three feed pins and six support pins. Tin-plated copper or similar is also fine, but don't use iron or steel wire. SMA connector (vertical type): For performance reasons I used surface-mount vertical SMA connectors. I used this for my prototypes. They cost $8 for 10 pieces, so that's $1.6 per antenna. Soldering these requires a hot air rework station or reflow oven, because you can't reach the center pin with a regular soldering iron. Edge-mount connectors are not practical for this antenna, because the long tracks over FR4 would introduce too much loss. The PCBs need to be spaced accurately to get good results. The correct spacing is 3 mm (not 4 mm like the regular Triple Feed Patch). You can buy metal spacers of this height to make this easier. Ideally you need to get these distances right within a 0.1 mm tolerance. I will add more detailed instructions when I have more time. If you're wondering how you are supposed to solder the center pin of the SMA connectors, there are two ways: pre-tin both the pad and the pin, or use solder paste (I prefer the first option). Place the connector on top of the PCB, and heat it up with a hot air rework station until they join. Adding flux helps. Use tweezers to align the connector properly if necessary. Finally use a regular soldering iron to solder the large ground pad to the connector. Hi, thanks for the numerous designs you keep publishing. They really bring the cost of directional antennas down for hobbyists. I have a few questions though. Will the antenna perform significantly worse if the through holes are plated ? I forgot to mention it when I ordered pcbs for the previous triple feed patch design. Also, does the copper wire diameter really matters if you still manage to have the right distance between the 2 antenna parts ? TIP for hobbyist : Use JLCPCB for your first order, it's the cheaper. The diameter is 15 cm. The holes have no significant impact on the performance, you can change them or even remove them entirely. If you don't mention that they are unplated, two things can happen: either the manufacturer tries to plate them anyway (very unlikely because there is no copper on the top or bottom), or the manufacturer ignores the file with unplated holes (so there will be no mounting holes). The copper wire diameter is important, you should buy 1mm wire or something very close to it if you don't have it already. Don't try it with e.g. 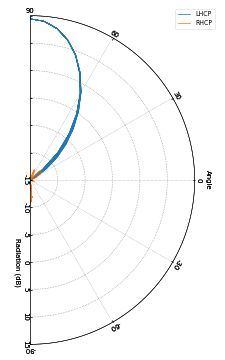 0.5mm, this will most likely create a significant shift in center frequency and affect the matching between the feed network and the antenna (which can affect the axial ratio). Notes: Each antenna is measured individually and gets its own parameters tab. Optional SMA and RP-SMA - Includes semi-rigid coax (SMA male – SMA male or SMA male - RP-SMA female). Fast delivery in the EU (3-10 days). 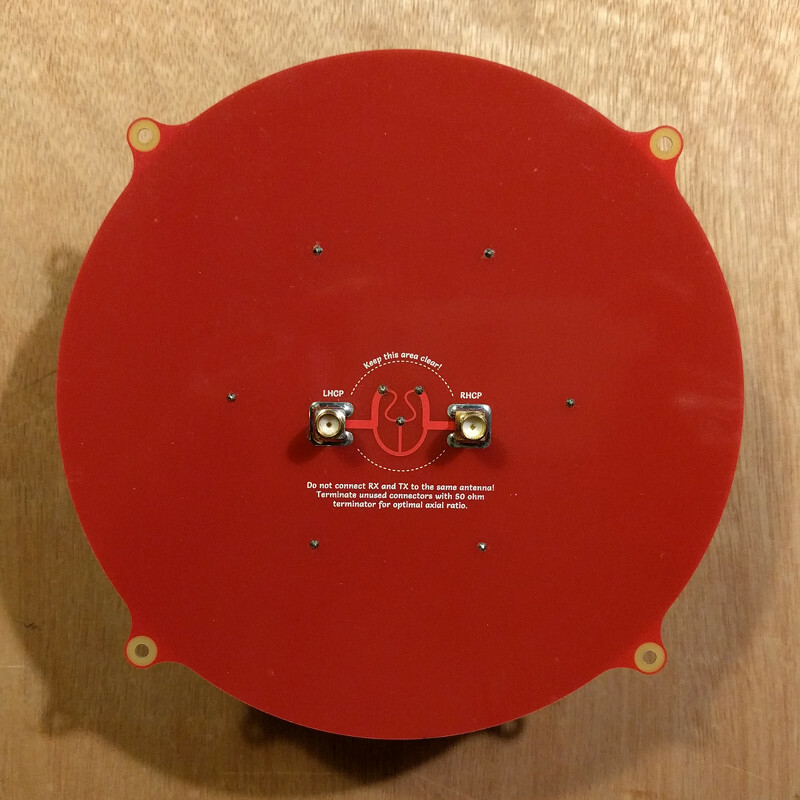 We produced a modified version of the Triple Feed Patch (hybrid) antenna - a diameter of 45mm. 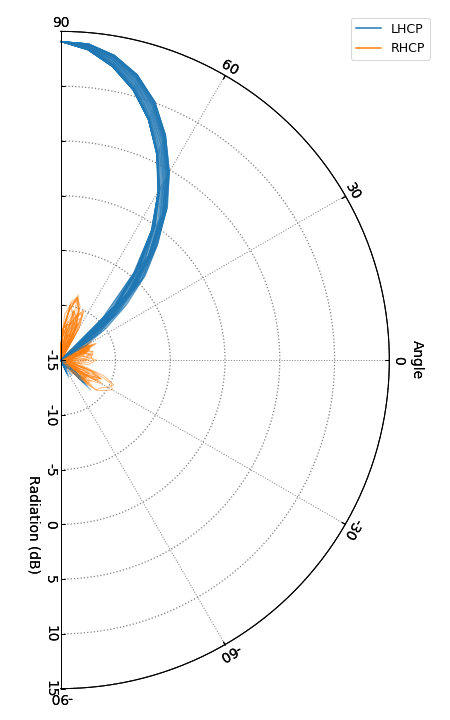 We are now finishing the tests of this antenna, the results are positive. I have qustion about part 2 (bigger one). I opened it in Kicad Gerbviewer and found that bottom copper layer has additional ground plane. On photos there isn't. It's some improvement or error in Gerber file?